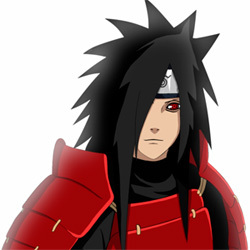 Want to look like Madara Uchiha of the anime Naruto? Now it's easy. Almost all of us, who loved a cartoon as childern, wanted to become their favourite character for just a moment. Now it's so easy to change into movie and TV characters thanks to contact lenses! If you're an anime fan, then you will love ColourVue Madara lenses. They are based on the Naruto series, in which the characters would change their eye colour. Madara lenses are named after Madara Uchiha, a legendary ninja warrior. Try them now and become him!